32Red is one of the biggest names in the online betting industry. The group is definitely high up on the totem poll, as they are frequently seen on television ads and on the shirts of some of the most prolific football teams in the world. Having played at 32Red in the past, I can tell you that this is a great place to gamble on your PC. The casino was founded in 2002 and I started playing there in roughly 2005. 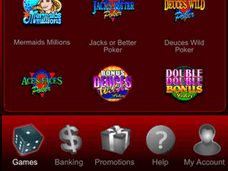 However, when it comes to using the casino on my Android device, I am a newbie. I honestly have never played on a mobile device here, and didn’t know what to expect. How did 32Red fare on my Android? Read on to find out. I used my HTC Butterfly to end up visiting 32Red. When I entered the site into the Chrome browser, the great 32Red mobile site instantly booted up. I was treated to the classic logo and roulette wheel that is synonymous with 32Red, and was also met with a great no deposit bonus, where new users can get £32 free. Unfortunately, I was unable to take advantage of this, as I am an existing 32Red user, but my friend on a similar phone did register and claim this bonus. He was able to easily input all of his required personal information, even with his fat thumbs. 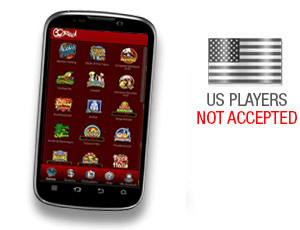 For my experience, I decided to download the 32Red app from the group’s website to try and get a full casino experience. I was impressed with how easily the apk installed onto my phone. The screen is perfect for the purposes of easily navigating the site, and my friend and I were both able to easily find the cashier button at the bottom of the screen. Getting set with a deposit is very easy at 32Red, as the group has a very large amount of deposit options, many of which are instantly accepted and put into your account. Options available for depositing include: Visa, MasterCard, Maestro, Ukash, EcoCard, PayPal, Skrill, PaySafeCard, Click2Pay, Direct Bank Transfer, and EntroPay. I ended up using my Visa card to deposit, and found that the process is just as smooth on the Android site as it is in 32Red’s PC version. My deposit was instantly accepted, and my balance credited immediately after. There is literally no letdown here from the PC version, which impressed me quite a bit. When it comes to bonuses, 32Red has many varied options to help pad your bankroll. The casino offers everything from the free chip mentioned above, to a high roller bonus, to slot and roulette specific bonuses. The options are so varied that it has become hard for me to track all of the various options available. I can say that the bonuses all seem to have fair playthrough numbers, as I have taken advantage of the slots bonus and gotten a very competitive 30x rollover. Other rollover amounts vary by game, but they are still below the majority of 32Red’s competition. 32Red is powered by Microgaming, and the Android app is able to provide an experience with games that mimics what I see on my PC. While the game selection isn’t nearly as large as its Quickfire counterpart, the Android version of 32Red does offer some very nice slots and a limited selection of table games. I was most impressed with the Mega Moolah progressive slot, which is an identical replica of the game I have come to love over the years. The game is tied to the multi-million dollar jackpots we are used to seeing from this game, and can make you instantly wealthy. Unfortunately for me, this game was not lucky for me on my phone. Also impressive were the games Bar Bar Black Sheep and Thunderstruck II, which both were a lot of fun for me to play, and actually ended up chewing up most of my time with the 32Red Android app. As noted above, table games are scarce on my Android app, with just a Blackjack and roulette game being made available. Both of these games play well enough, but they really aren’t nearly as extensive in selection as we have seen from some other mobile sites. Those looking for video poker will be happy to know that six variations of the popular game are available, but they really aren’t the shining stars that the slots are. When it comes to getting your money withdrawn through 32Red on your Android, things are pretty easy. I ended up being able to select the amount I wanted to withdraw and the method that I wanted to withdraw I wanted to withdraw it by on my phone. In my case, I chose to have my money doled out through PayPal. When it came to actually submitting the identity documents needed for the verification process, new users will be required to submit identity verification documents in order to get their money out. I was able to forgo this, as I was an existing player who has played here in the past. Once my withdrawal was processed and approved, I ended up seeing the money sent to my PayPal account within a few hours. I am very pleased with this speed that 32Red shows here, as I was able to get the money processed back to my account in order to pay for dinner and a night out with my wife the same day that I requested the withdrawal. Overall, I feel that 32Red’s Android app is very good, but lacking the massive library of games that I have grown used to seeing on their PC site. Registration and banking is very simple on the app, and the bonuses are very nice as well. I would definitely recommend you giving 32Red a shot. It is a very good casino that should continue to grow in the upcoming years.